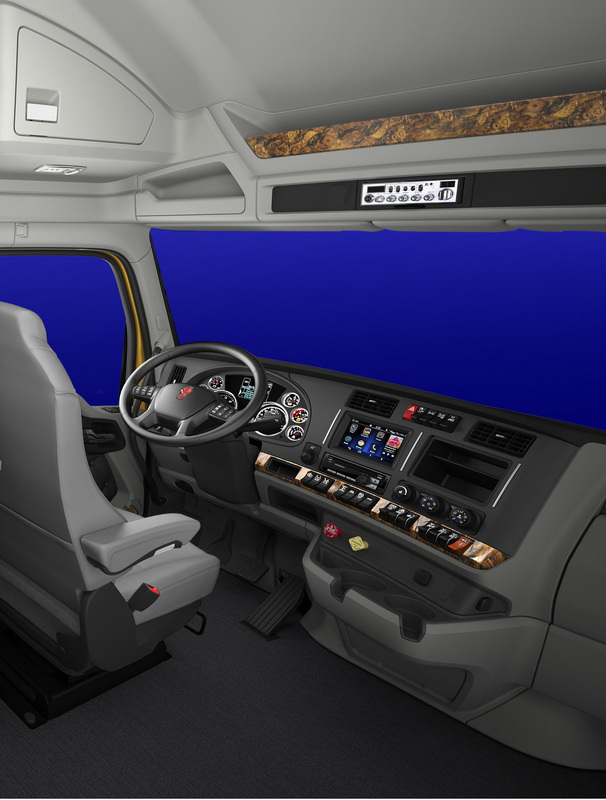 Kenworth has announced new colors and interior stylings on its flagship on-highway Kenworth T680 and vocational leader Kenworth T880 models. The new choices will also be available with the newly introduced Kenworth W990. The new color options will be available with both Diamond VIT and Vantage interiors on trucks produced starting in the new year. The new colors include a black dash top and updated hydrographics accent trim panels. The doorpad trim colors are updated to match, providing a nice contrast. Seats undertook the biggest visual change with new seat color and pattern options. Seat covering choices – standard cloth, DuraSupreme, Ultraleather and leather (two-tone) – are now available in Slate Gray or Tan. Trim accent colors are offered in two trim levels, Diamond VIT and Vantage, both in Slate Gray or Tan color options.